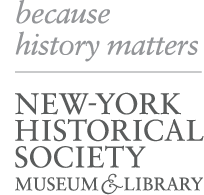 Learn about the political debates that shaped the Declaration of Independence, then explore the experiences of enslaved people in New York during the Revolutionary War. Compare the idealized American West of Oklahoma! to the realities of the conflict over land, and consider the consequences of this struggle for ranchers, farmers, and Native Americans. Discover how the economic trends of the 1920s contributed to the Great Depression, and why photographs, radio plays, popular music, and other media were critical to American morale. Analyze wartime industrial production’s impact on the American workforce, then consider how African Americans respond to discrimination in the military and on the home front. Explore the motivations and experiences of Puerto Rican migrants to New York, then investigate the impact of urban development on young people and their neighborhoods.